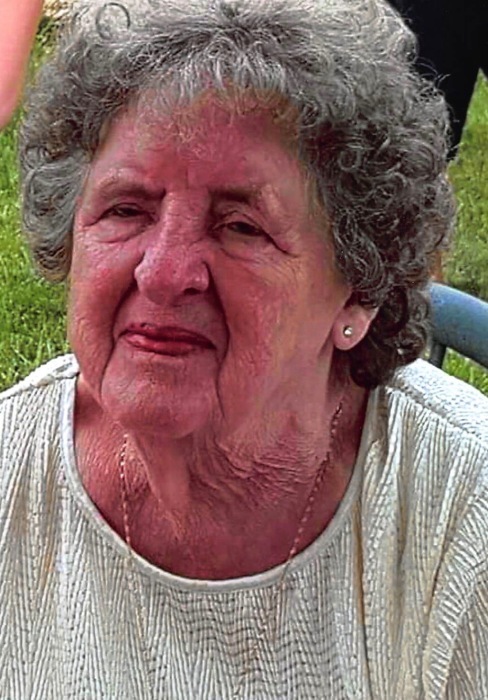 Grace Skipper, 87, of Lake Geneva passed away at her home surrounded by family on February 7th, 2019. Born Grace Dodgers to the late Fred and Mabel Dodgers on August 17, 1931 in Chicago, Illinois. In 1949 Grace was united into marriage to Henry Skipper in Chicago, Illinois. Grace loved being surrounded by her family. Grace's house was never without a good conversation, the sounds of laughter, or without the smells of something she was cooking. Grace is survived by 5 children: Diana (Tony) Holbrook of Lake Geneva; Millie Kalinowski of Zenda, Wi; Patti (Lattif Hadzibulic) Gurley of Zenda, WI. ; Ronald (Debbie) Skipper of Pell Lake, Wi. ; and Richard (Tammy) Skipper of Pell Lake, Wi. 17 grandchildren, 30 great-Grandchildren, and 3 great-great-grandchildren all survive Grace. A sister Virginia Folkman of Zenda, WI, a brother Larry Dodgers of Chicago Illinois and a sister-in-law Caroline Skipper also survive Grace. Grace was preceded in death by her husband Henry, 1 son; Henry Skipper Jr., 2 grandchildren Grace Merrit and Charlie Thompson, 2 brothers; Fred Jr. and Earl Dodgers, and 1 sister Anette Pahlke. Services for Grace will be held on Wednesday February 13th, 2019 at 1:00pm in the main chapel of Derrick Funeral Home. Visitation will be from 11:00 till the time of the service on February 13th. Interment will be at Roselawn Memorial Gardens immediately following the service. Derrick Funeral Home is more then honored to be assisting the Skipper family during in their time of need.